Cooking is in Annalisa Mastroianni Johnson's DNA. The LA-based entrepreneur has done it all, from working as a server to leasing commercial kitchen space to budding food businesses. 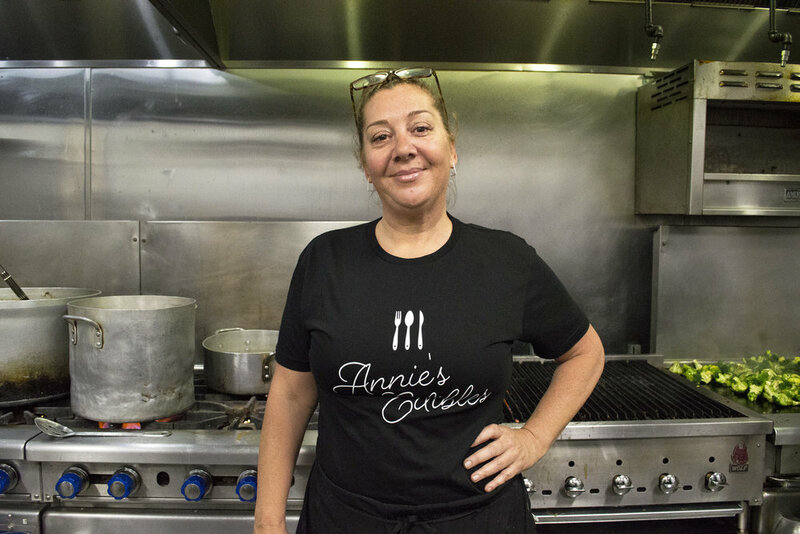 She is the proud owner not one, but two successful catering businesses: longtime project Annie's Edibles and a more recent dessert venture, Gotta Have S'More. Check out our interview with Annalisa below. What were you doing before starting Annie’s Edibles? Before I started Annie’s Edibles, I wanted to see the world. I traveled through India and South East Asia for a few months before deciding to head back to Los Angeles. When I got back, I worked at a great restaurant as a server. The owner knew that I had a passion for cooking and gave me an opportunity to create new menu items and work in the kitchen. Has cooking always been a part of your life? What are your earliest food memories? I come from an Italian father and a Swedish mother who both loved to cook. I cannot remember a time that I didn’t want to cook. I am pretty sure my first stand-alone dish was cacio e pepe, but back then it wasn’t a hip restaurant meal. It was just what we cooked for comfort. What are the foods you loved growing up? It is hard to say what my favorite food was because we were always trying something new. I was lucky that my parents were the original ‘foodies.’ They were willing to travel miles to try the best jerk chicken or the most amazing Mexican food. We ate everything from everywhere, from hole in the wall restaurants to fine dining. What is the LA catering and food scene like? Do you see collaboration between businesses? I think the catering scene is amazing! People are so creative and are constantly creating new foods. There is really nothing that you cannot find. Unfortunately, I don’t get out much to schmooze with other caterers, but I am lucky in the fact that I share kitchen space with some talented chefs. We often share ideas and taste test each other's creations. Since we also own Gotta Have S’more we can offer desserts to other caterers that don’t always have the time to bake. Why is cooking and healthy eating so important to you? It is what I love to do. It is truly a gift to hear someone love what they are eating and not feel like they are being restricted. We have been able to touch so many people over the years. I often get messages about how clients no longer have to take medication because they started eating right. Or how our meals bring them fond memories of home. It is messages like those that remind me why I do what I do. Looking for your office's next favorite lunch? We love soul food from Annie's Edibles paired with s'more cups for dessert!